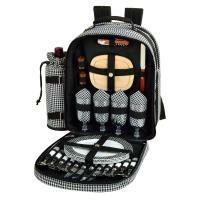 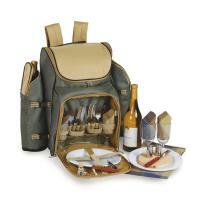 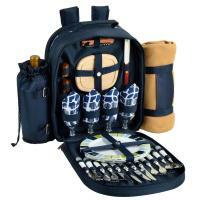 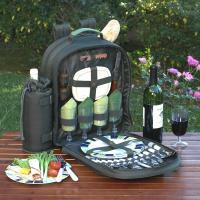 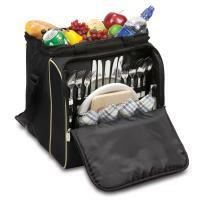 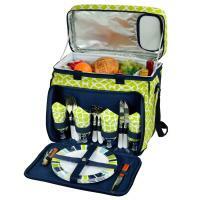 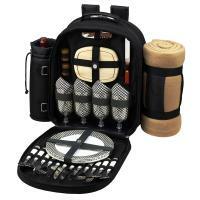 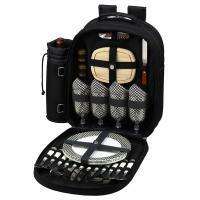 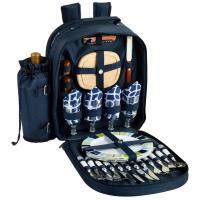 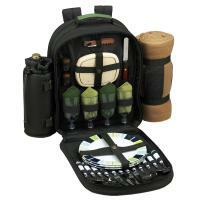 Are you looking for a picnic pack that can transport lunch for the whole family? 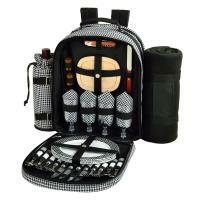 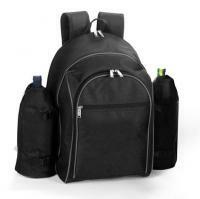 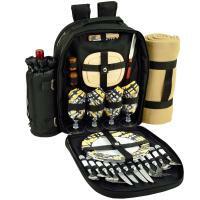 Search no further than our picnic backpacks for 4, a collection of full-service packs and duffels at affordable prices. 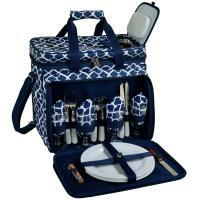 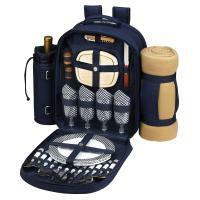 Picnic backpacks for 4 are insulated, heavy-duty products that come with pockets and pouches for everything from wine bottles to food and drink. 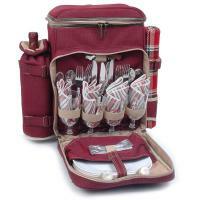 Standard features include silverware, tablecloths and chopping boards, and many models have picnic blankets as well. 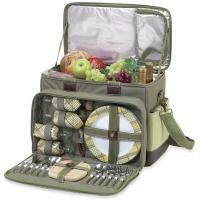 When it comes to design, flexibility is the priority in our picnic packs. 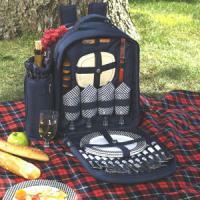 Do you want wheels to help haul your picnic wares? 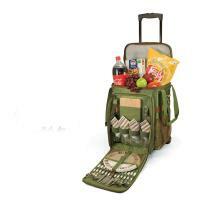 Then, pick one of our trolley models with cross-country wheels ready to tackle any landscape. Prefer straps? 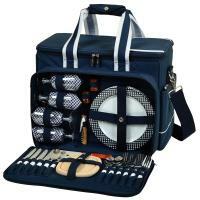 Well, just snag one of our duffel or backpack models, which have a variety of adjustable, heavy-duty straps that will make carrying your lunch or dinner as comfortable as eating it.